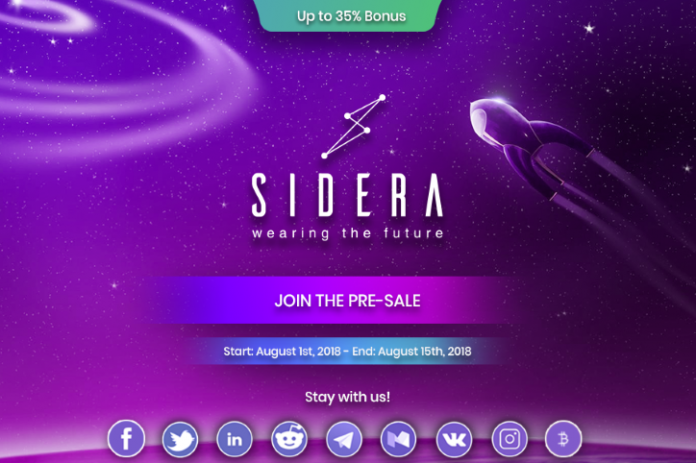 The Sidera project is currently two years in development and is causing a lot of interest in consumer circles. It is bridging the gap between traditional crypto wallets on phones and laptops and porting the technology onto smartwatches. The scalable ecosystem revolves around a new revolutionary way of sending crypto: Decentralized Wearable Devices. It is an ERC20 wearable wallet that lets people receive, send, and manage Bitcoins and any other cryptocurrency or ERC20 token completely from their wrist in a beautiful and secure way. The smartwatch is linked to a companion app which handles features like addresses, contacts, blockchain synchronization, and much more. In addition to SmartBit, Sidera is also releasing a new revolutionary exchange: CONTINUUM. It is the first Decentralized Wearable Exchange of the world, therefore fully decentralized and completely wearable. It runs through SmartBit devices on millions of peer-based wrists. “Imagine having your exchange on your wrist, trading your favourite cryptocurrencies simply tapping on a button. It also benefits from our state-of-the-art technology which guarantees security and anonymity,” says Piscitelli. “Our mission is to develop a unique and revolutionary product and for this reason, we want our exchange and proprietary hybrid blockchain on our smartwatch,” he says.